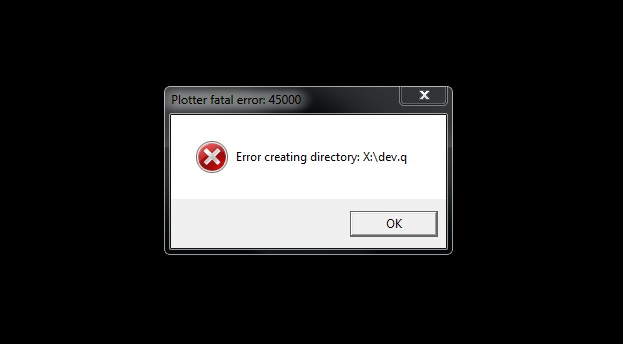 What can I do if I get ERROR CREATING DIRECTORY message? I have an MP1800 plotter and the user manager shows plotter is disconnected. Please post a screenshot of the error message you are getting. Make sure your user has permission to create folders on the X: drive. You will need , Read, write, and modify. Do you have AccuMark or Winplot installed on this system? Which version? Open the X: drive. 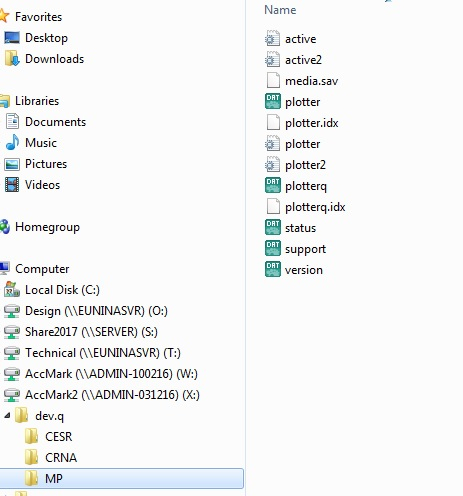 Do you see a folder named dev.q? If so can you create a file inside of it? Everything looks correct, you will need to call support so we can troubleshoot your issue. I can be wrong but I suppose the network drive X is mapped not by i.e. 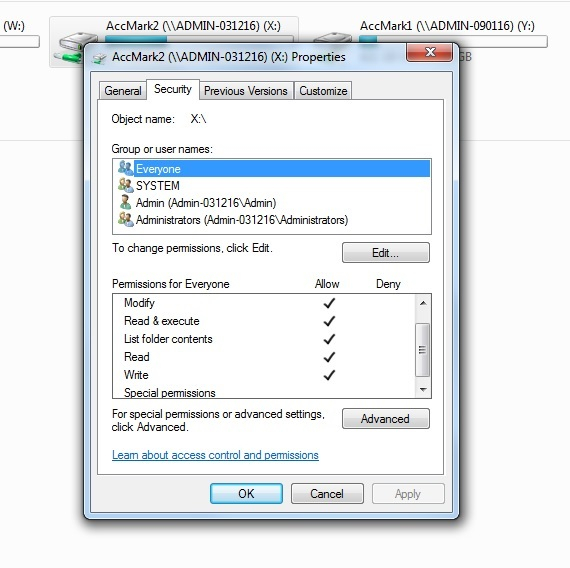 domain policy but after User is logged into the System (basic mapping). This create an issue because the network drive is not accessible when software is trying to create files on drive X when acmkmgr.exe is called. I can duplicate it on my PC when map the drive from local network and create the queue on that drive - after PC reboot I get the same error message regardless the fact that permissions are OK.
when User is just logged to the system do you see the red cross under X drive and message that not all network drives are accessible? Also looking at the screenshot I see that the plotter is disconnected. Is the plotter switched OFF when the screenshot was made? Was the system working properly before? What is your plotter configuration in Gerber Devices. Have you selected proper MP server instance and port? From provided information would be difficult to point out exact root cause (as even network information is missing). You can drop me an email indicating your geo location and i can help you to get in touch with support appropriate to your location. 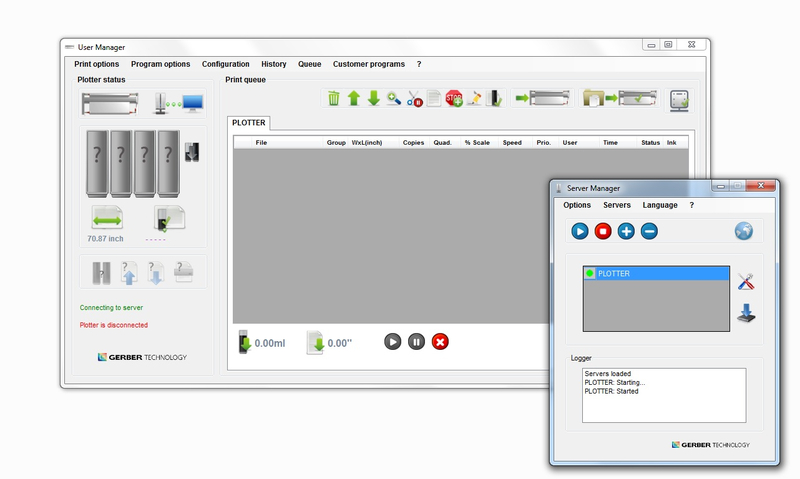 Plotter switch ON when screenshot was made. Looks like Windows user logins faster then drivers are mapen. Ususally it occures with blank passwords.